Childrens Toilet Frame With Slip Resistant Ferrules. 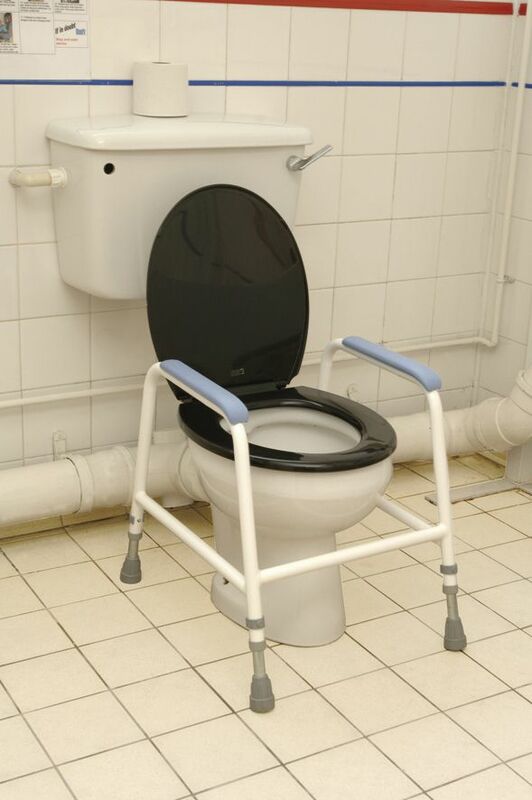 This children’s toilet frame eases sit-to-stand transfer for the child. Is discreet and fits around nursery and standard toilets. Height adjustable with 'E Clips' and moulded padded armrests. Slip resistance rubber ferrules whilst floor fixed version is available.